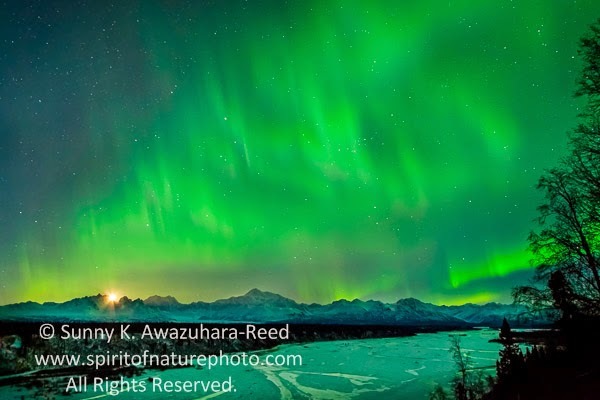 When solar activity was high in early February, I headed north from Anchorage to hopefully get a glimpse of the aurora. The weather cooperated and the sky was clear. 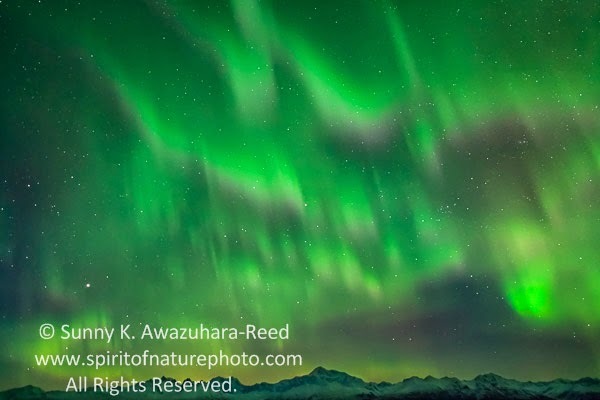 The faint northern lights arched in the north sky at 9pm which is usually a good sign for an active aurora night. 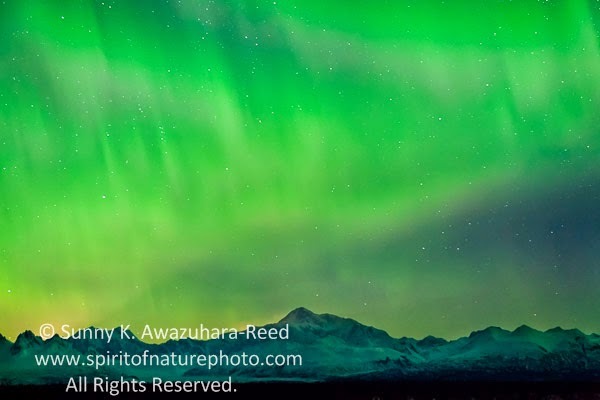 It would finally be the night that I would photograph northern lights over Denali (Mount McKinley, the highest peak in the North America). There are numerous locations about 100 miles north from Anchorage to view the south face of Mt. McKinley. The north face of McKinley is more well known - famous in postcards and books, etc, however, the best area to view the north side of the mountain is really remote, 90 miles deep inside Denali National Park. The dirt road within the park was still under the deep snow and temperatures could reach -60 Fahrenheit. Only experienced winter travelers with dog sled teams or snowmobiles can reach the area. The more accessible south side of McKinley is realistic option for winter photography. 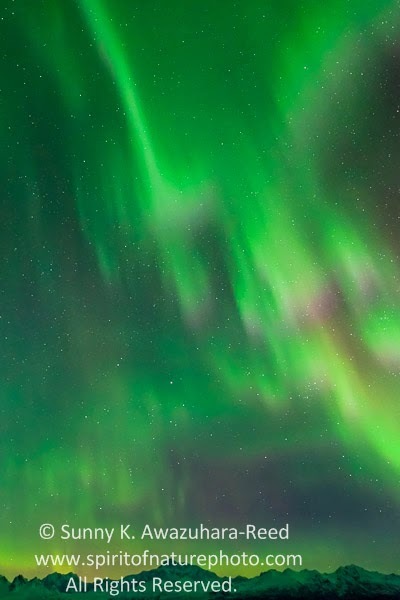 At 5am, finally northern lights were appeared over northern sky. I grabbed gear and running up to the spot. 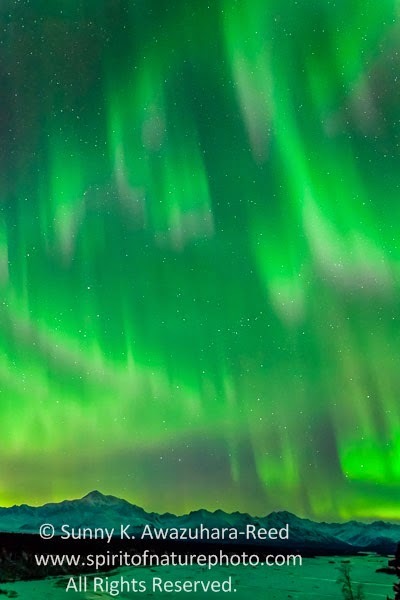 The aurora was slowly stretch out and waving above the mountain. It was mostly faint green and slight pink at the lower edge. The bright moon was slowly setting behind the mountains yielding to an amazing show. 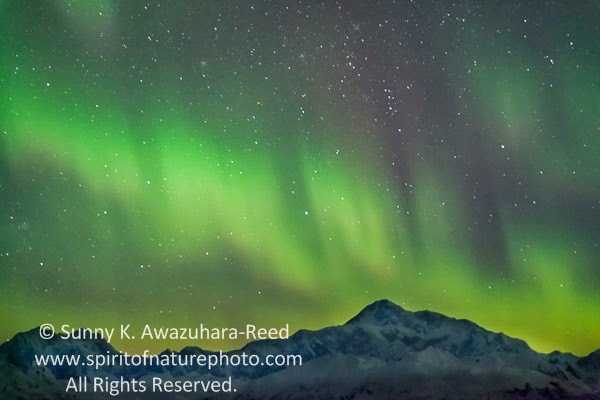 The lights became more intense and danced over Denali and parts of the Alaska Range. The show kept going for over an hour! Dragon dancing over the mountain. At 6am, the lights slowly faded and it was time to pack up. It was such an exciting morning.